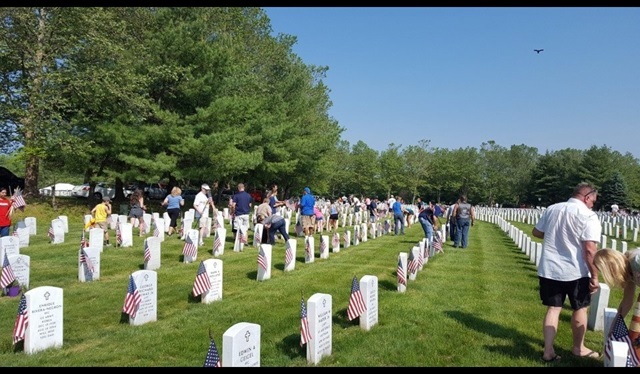 We can’t thank everyone enough who came to the CT State Veterans Cemetery today to place Flags at the stones of the Veterans who are laid to rest there. The community turnout was amazing and it shows that these Veterans will never be forgotten. If you are able, please return next Saturday, June 4th at 9:00am again, to help us remove the Flags. We are only able to keep them up for a week and need to store them until Veterans Day when we can place them back on our Veterans who are laid to rest there. Thank you for helping to remember that they are not forgotten. Vietnam Veterans 50th Anniversary-plans are now underway. excluding July and August unless posted otherwise. Regular business meeting. 7:00 p.m.